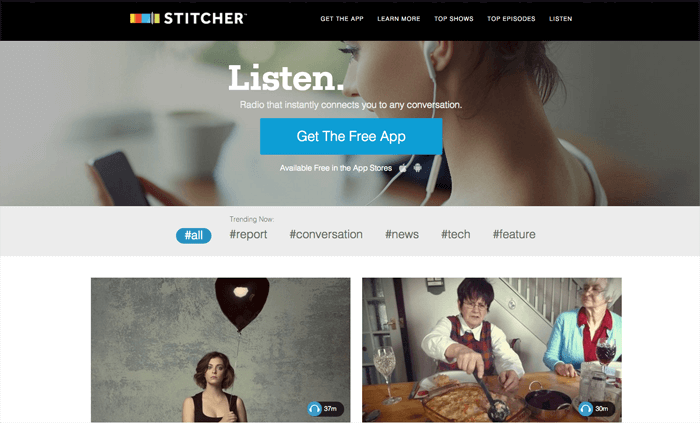 Description: The only thing in this list that isn't an actual podcast, Stitcher is a great app that lets you follow all your favorite podcasts and have their latest episodes at your disposal. Scroll through the handy feed to see most recent episodes, then tag them with "listen later" to curate your own playlist. It's my favorite podcast player. 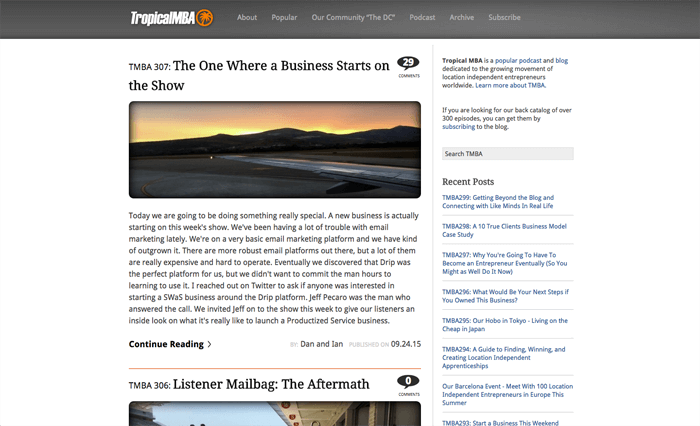 Description: This is my favorite podcast, because it's always inspirational and actionable. Andrew Warner interviews entrepreneurs who have become successful, in order to find out how and why they were able to make it. He digs into people and gets them to reveal more information than they had planned to, like Barbara Walters back in the day. 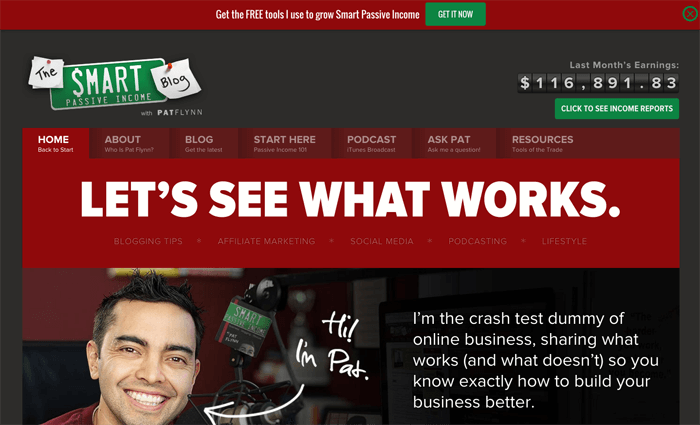 Description: If one of your goals is to not have to work all the time forever, Smart Passive Income is a great resource for you. Pay Flynn interviews successful entrepreneurs who have built systems that don't need constant, 60 hours a week work, but instead are jobs that you can sometimes step away from. Having income directly correlated to the amount of hours you work is far from ideal, and Smart Passive Income can teach you the tools and give you the inspiration to build a better way of life. 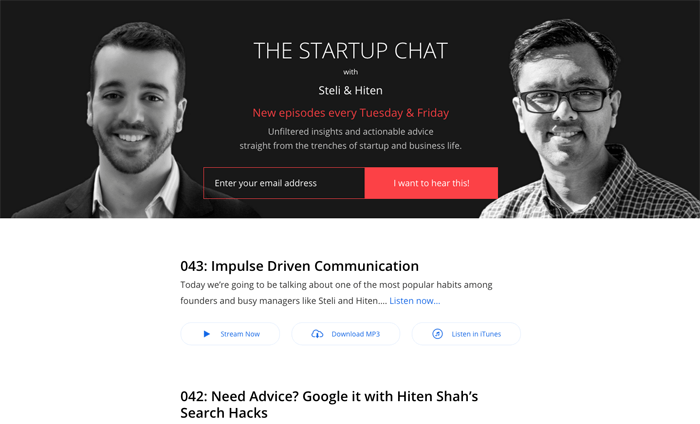 Description: Steli Efti from close.io and Hiten Shah from Kiss Metrics go back and forth on larger issues related to being a startup founder, like reputation and branding and how to work with people. It's just them having a discussion every week for 20 minutes, no guests, no sponsors, just raw conversion. It's always interesting and always very educational. Description: If you're interested in the lifestyle talked about in the 4 Hour Work Week, then Tropical MBA will be of interest to you, in which digital nomads share travel tips, and talk about running startups from Vietnam and other exotic and foreign locations. 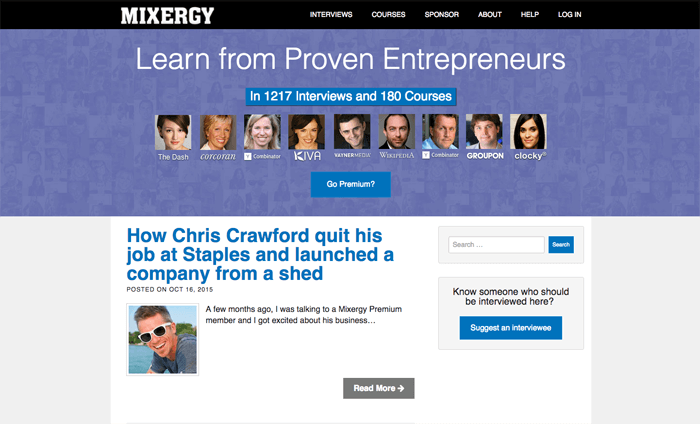 There's a lot of great business advice too, amongst all the other topics they cover.